If you’re a recruiter, a hiring manager, or a recruitment marketer, take a second to think about your existing team. At a medium or large company, you’re likely to see a lot of diversity. People of different ages, different experience levels, and different goals or interests. Even in industries like law or tech where most hires at prestigious firms will have similar educational backgrounds or specific qualifications, there will still be a big difference between what motivates each individual employee to get up and work in the morning. Needless to say, if you had to hire all of your coworkers over again, the same recruitment advertising campaign wouldn’t cut it for every single member of your team. In fact, you might find that a single advertising campaign didn’t appeal to even half of your existing employees, and that to regain their interest you would need to break them down into multiple audiences and run separate campaigns for each. Now, if all of this is true for your existing team (which we hope is a successful combination of people), why shouldn’t it be true of the teammates you haven’t found yet? If your current crop of people is any indication, your future hires are going to cover a wide range of work-styles, experience levels, and dream job-scenarios. There are no one-size-fits-all hires, just as there are no one-size-fits-all hiring campaigns. So, how should recruiters adapt to this reality? One possible answer is segmentation. We gave a loose sketch above of why it might be important to segment your recruitment audience into multiple different targeted groups, but let’s dig a little bit deeper into the reasons why segmentation might help your recruitment efforts. At its heart, segmentation is a process of breaking down your potential audience by where they are in the candidate lifecycle and what candidate persona they conform to, in order to create a more robust recruitment marketing strategy. How does it do so? Essentially, once you’ve broken your audience up into target segments, you can instantly see which segments are receiving appropriate content and which ones are either being shown the wrong content or aren’t being served at all. With these new insights, you can make a deliberate effort to fill any content gaps that you’ve identified. Where, previously, your recruitment advertising might have had been carried out with a sort of carpet-bombing approach, segmentation enables you to be much more strategic. 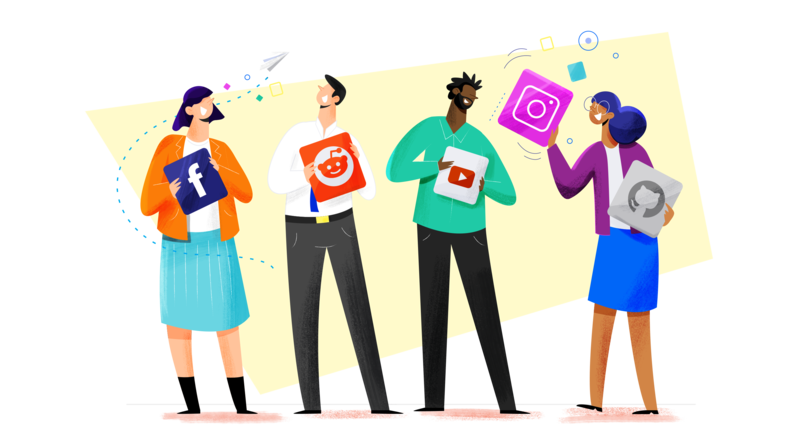 For each segment of your audience, you can not only create content more deliberately, you can also choose appropriate channels for that content and target your ads at a more clearly-defined demographic than you could have otherwise identified. In this way, you increase the odds that any given job seeker’s first encounter with your brand is tailored to their specific needs and interests. If they encounter a version of your EVP that speaks fairly directly to their immediate career goals, their research interests, or their ideal work scenario, they’re likely, at the very least, to file your employer brand away for the next time they’re sending out applications. Okay, let’s say you’re sold on segmentation. You can see all of the ways that it can make your advertising strategy more effective and provide direction to your content creation efforts: what now? How do you act on this new idea and actually go about segmenting your audience? The first step, as you might have been able to guess from the paragraph above, is to clearly define your candidate personas. You can go as wide with this as you want (some businesses have multiple personas for each individual job opening, while some will use the same persona across multiple positions if it seems appropriate), but it’s crucial to make sure you’ve sketched out at least a few different personas and assigned attributes to each one based on careful research. This should include not just what the personas' immediate career aspirations and goals are (i.e. which segment of your EVP will be most appealing), but what platforms they spend time on. With these sketches crafted (and refined over time), you can begin to reimagine your recruitment advertising and marketing efforts. If you’re, say, a large tech company hiring researchers for ongoing theoretical projects in additional to hiring for normal programming jobs, you might find that one of those segments is spending a lot of time on YouTube, while the other is well represented on Reddit and Snapchat. Based on that information, you can make sure that you’re not just focusing on those channels, but emphasizing the right elements of your EVP (which might be proprietary tools and research opportunities on the one hand and potential career growth on the other) on the right channels. In this way, you craft a personalized employer brand narrative for your potential recruits—one that intrigues, delights, and resonates with them. Once you’ve broken your audience down by persona, your next task is to perform the same type of segmenting based on where each (passive or active) job seeker is in the candidate lifecycle. Why? Because potential applicants who are encountering your brand for the first time won’t respond to the same messaging as those who are already familiar with your business and on the verge of submitting an application. The first group, having no other information at their disposal, will simply want to know who you are and why you do what you do, whereas the second group may be more interested in the specific ways that you can provide value for them in their careers. These categories (first-touch through later stages of awareness) can then be combined with your candidate personas to create an even more granular model for creating and targeting content—one in which users receive content based on both their imagined interests and their relative interest in your company. In this way, you can take a big step forward in terms of getting the right message to the right people at the right time. This will make your recruitment marketing more efficient overall, not least of all because you won’t be wasting money spreading the wrong formulation of your employer brand to candidates who won’t respond to it. Segmentation of the sort we’ve been discussing might seem time consuming, but in point of fact it will save time and resources in the long run in the form of improved cost efficiencies and better new hires.